A Market in the Woods includes 13 monster entries, describing a hidden marketplace, some of the inhuman beings that gather there to buy, sell, and trade, as well as a few schemes that may or may not be unrelated. 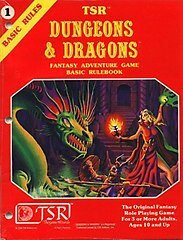 Each entry is illustrated in full colour and may include different variations of the monster, random tables, adventures, dangers and their grim portents, custom moves, items, locations, plot hooks, secrets, and more. Like MM1 and MM2, A Market in the Woods contains previously-released Monthly Monsters material that has been revised and expanded, and adds more illustrations and content. 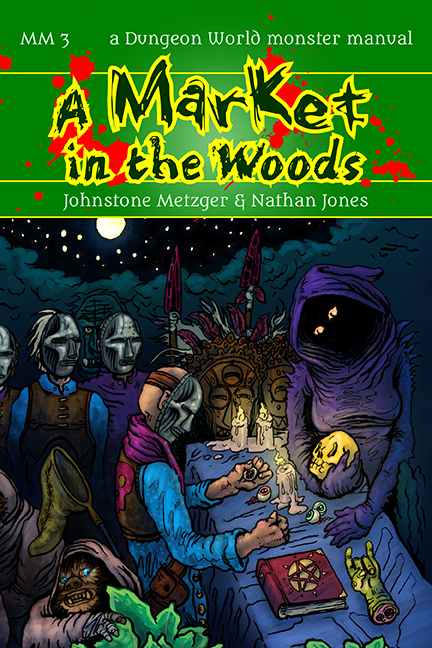 A Market in the Woods is available in print and pdf from DriveThruRPG. The pdfs are halfletter digest size (5.5×8.5″) and 112 pages. One version has full-colour backgrounds behind the text while the other has black text on white pages. The print book is US trade size (6×9″) and 112 pages. You can also buy the print book on its own from Lulu.